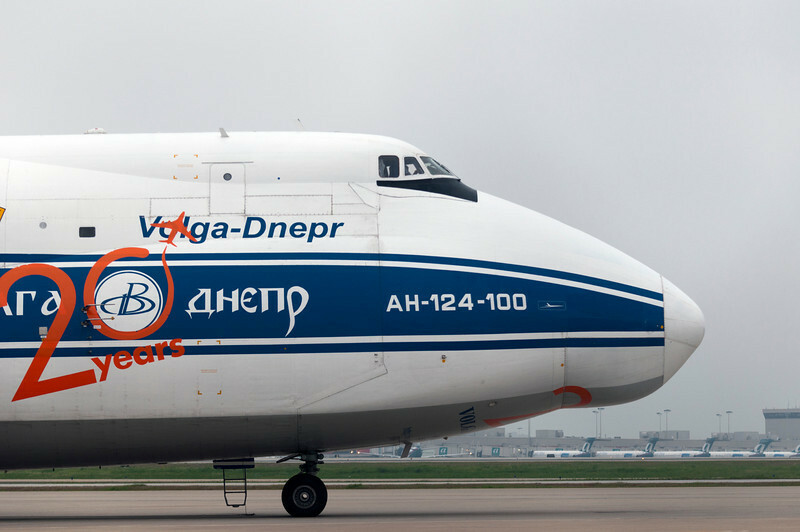 An Antonov An-124-100 super cargo plane was in Atlanta to pickup a special concrete pumper truck and bring it to Japan. The pumper truck, the largest in the world, is going to be used to help at the crippled nuclear power plant in Japan. I was at Hartsfield-Jackson airport on Saturday, 4/9/2011, to photograph the Antonov jet taxi out and take-off.